Mrs. Franke was a fabric and upholster designer and leading handweaver with Willich-Franke Studios in New York City. Her work was included in the first important exhibition of the American Union of Decorative Artists and Craftsmen, known as AUDAC, at the Brooklyn Museum in 1931. Other exhibits where her work was displayed included the 1939 Golden Gate International Exposition in San Francisco. 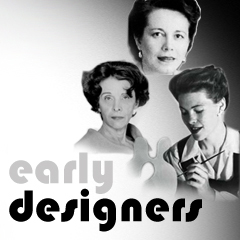 A member of the Industrial Designers Institute (IDI), she was awarded an IDI Fellowship, which was honored by IDSA when it was formed in 1965 by the merging of IDI with the American Society of Industrial Designers (ASID) and the Industrial Designers Education Association (IDEA).